XENIA — Greene County Clerk of Courts A.J. Williams can finally exhale. After months running the clerk’s office and his re-election campaign, the 34-year-old is now able to focus solely on his job as clerk. He defeated Democratic challenger Cyndi Pauwels, 40,846-24,232, according to unofficial results from the board of elections Nov. 6. Williams was previously appointed clerk when long-time Clerk of Courts Terri Mazur retired. He took office Jan. 1, 2018 but had to run again in the May primary. He defeated Alexander Blaschak, 7,968-4651. Then he had to run a campaign to fulfill the remainder of Mazur’s term for the general election, again while still performing his job as clerk. “I’m glad that’s over,” he said. Williams has some big plans for his office, including technology upgrades. They are available once a quarter and were not always implemented, Williams said. Those will be done while Williams explores e-filing and placing document images online as well. Currently only dockets are available online, according to Williams. Williams volunteered to be among a group of county clerks testing new printing templates and printers for the larger titles being issued by the state, which are now 8.5 by 11. 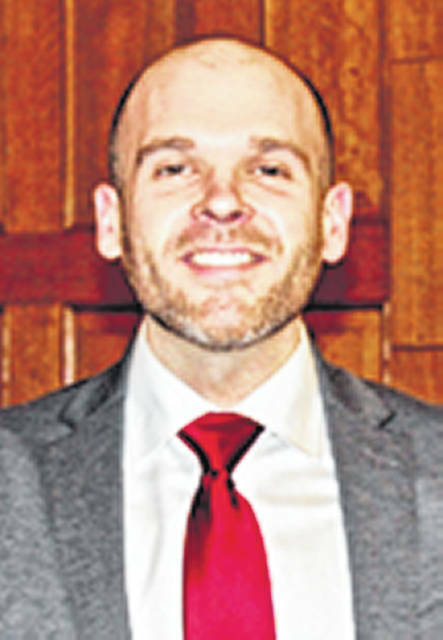 That type of forward thinking — which he displayed as chief deputy to the Greene County Recorder — helped him earn the appointment from the county commissioners, who unanimously chose Williams to replace Mazur. In addition to working in the recorder’s office, Williams also worked for Secretary of State Jon Husted. The term expires in 2020, so Williams will have some election down time.